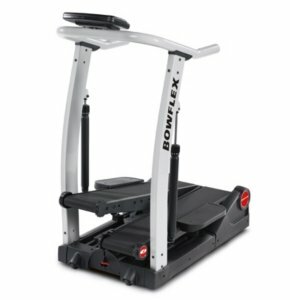 Is the Bowflex TreadClimber TC1000 a Good Deal? The Bowflex TreadClimber TC1000 is another heavily advertised piece of fitness equipment from Bowflex. It’s a treadmill/stair stepper/elliptical trainer all in one, giving you a chance to really work on those leg muscles. For about $1600 you can put Bowflex’s new TreadClimber technology to the test in your home gym. 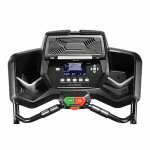 The hydraulically powered “Dual-Treadles” are adjustable and can be used independently to work as a stepper or you can snap them together for a treadmill workout. This arrangement also reduces the impact on the joints, which is certainly a selling point of this machine. The TreadClimber TC1000 comes with a 1-year limited warranty, which may be problematic, given Bowflex’s reputation for using cheaper parts and the fact that hydraulic shocks never last very long. UPDATE: The TC1000 is no longer available, and has been replaced by the all new TC100 and TC200 TreadClimbers. Both of these new models are improvements on the TC1000. The TC100 offers up to 4 mph speed, a longer two year warranty, a media shelf and some additional upgrades. The TC200 goes up to 4.5 mph, and adds workout tracking capability as well as a longer 3 year warranty. The TC100 costs about $300 more than the TC1000, so it's a great deal for all of the upgraded features that you are getting. Experts agree that the Bowflex TreadClimber technology is certainly an innovative design in its combination of walking and climbing. Some testers found this motion hard to master; the movement of the dual surfaces can be confusing to someone who is new to this type of a treadmill. Users found the TreadClimber TC1000’s lack of a Climb Indicator or a heart rate monitor kind of limiting when measuring their progress. The Calories Burned Indicator is also missing on this model. For its price tag, the TreadClimber TC1000 doesn’t offer a lot of value unless you’re looking to try out the climbing action that is getting a lot of attention in the fitness world – then this machine might be a good place to begin. However, Bowflex’s use of plastic parts, inevitable future problems with the hydraulic shocks and the short warranty makes us wonder if the Bowflex TreadClimber TC1000 is as great a deal as the flashy TV commercials want us to believe. 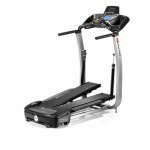 We suggest you have a look at the NordicTrack X7i Incline Trainer before you spend your money on this one. Editor's Note: The new TC100 and TC200 are nice improvements on this one, so they are definitely worth considering as the company has improved the durability a bit. They've also upped the warranty, which is always a good sign. Although it is not as strong as you'd find on comparably priced treadmills, it's definitely a step in the right direction.